Choose from the many different activities that are available here in Gardiner and beyond. Give us a call or, better yet, stop by to find out more! Consider North Yellowstone Lodge & Hostel a launching place to explore Yellowstone National Park, the Gardiner Basin and Paradise Valley. Outdoor Montana activities abound for all ages and abilities! Play in the dirt and breathe the fresh mountain air! Our staff is happy to answer questions, create and book the perfect activity package for you. Same-day bookings available. Wildlife Watching and Guided Hikes in Yellowstone See Yellowstone with a wildlife biologist! Step-on guide service for private wildlife watching tours, day hikes and custom day trips. Excellent food is provided on all trips. Highest quality (Swarovski) spotting scopes are provided for wildlife watching trips. Half-day and full-day options available. Departures from Gardiner, MT (north entrance) or other locations by arrangement. Trailhead transfer services also available. Let me make it your best day in Yellowstone! For more information, please go to in-our-nature.com or call us at 406-579-3838. 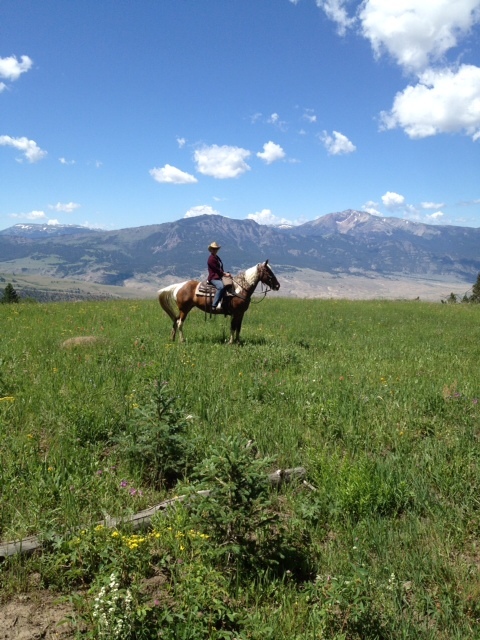 Experience the Wild West from 7000 feet on a Scenic Trail Ride. Departing daily, AM and PM rides offer breathtaking views into Yellowstone National Park and the Absaroka Wilderness. Hosted by a 3rd-generation outfitting family and ranch. Call to book your horse and saddle! Itʼs Wet and Wild! Splash through the rapids of the Yellowstone River. The perfect introduction to whitewater rafting; beginning rafters and families are welcome for 2-hour or 4-hour float trips. Rafts launch 5 times daily. Fall into the rhythm of the river. *Includes healthy riverside lunch. Max weight of 300 lbs/person. For novice or experienced fishermen. Cast your line into Montanaʼs premiere fly fishing waters. Walk and Wade trips available in Yellowstone National Park or Drift Boat Fishing on the Yellowstone River. Our guides are passionate, veteran fisherman whose passion is helping you land “The Lunker.” Cross this must-do off your list and become a part of A River Runs Through It! Call for pricing on guided scenic float trips on the Yellowstone River. These custom trips include a naturalist guide, viewing scope, binoculars, transportation, snacks and a hearty lunch. Trips do not include Yellowstone National Park entrance fee or guide gratuity. *All activities are provided by local outfitters. North Yellowstone Lodge & Hostel is not liable for any losses or damages that may occur during activities.